In honor of Halloween, I invited fellow historian Scott Poole, who teaches at the College of Charleston, to guest blog about southern horror. In this post, we learn about pop culture’s representations of the South as a peculiar site of horror, from Deliverance to True Blood and eerie things in between. What does a horrific South say about southern identity? Read what Scott has to say. Scholars of the American South spend a great deal of time reflecting on the nature of southern distinctiveness. An earlier generation of historians of the region labored under what C. Vann Woodward famously labeled “the burden of southern history.” A fun, if frequently reductionist, version of this scholarship turns everything from barbeque to moon pies to stock car racing into attributes of ethnicity, claims for a peculiar and allegedly charming southern essentialism. I’d like for us to ponder the macabre side of this story. Let’s think about America’s nightmares about Dixie. In the 20th century, racial segregation, uneven and makeshift economic development and the sometimes adversarial relationship of southern traditionalists with modernity helped create new monster traditions. In pop and folk culture, “the hillbilly” and “the redneck” became images of horror. The gothic south of decaying ancestral lineages and the lurid south of tobacco roads meet somewhere along these borders of the monstrous and the terrifying. In American films from the 1970s forward, this the portrayal of the South as the trackless region of horrors, the place off the highway where civilization meets savagery, became common. This view of the South has two dark fathers, Texas Chainsaw Massacre and Deliverance. These are both important aesthetic documents with more to say than simply “beware the hicks.” Indeed, both are deeply subversive documents. Hooper’s TCM launches a full-frontal assault on any romanticisms of the American past, turning the frontier cabin into, literally, a slaughterhouse where counter-cultural teens must face the horrific violence of the past. This is the horrific South as horrific America, Daniel Boone come back as cannibal, the true and secret history of American violence that southern violence both reflects and symbolizes. Deliverance calls into question the relationship between modernity and traditionalism in the South while also critiquing various kinds of southern notions of masculinity. Burt Reynolds, for example, exhibits an interesting variant of southern gender identity, the suburban “hell of a fella” (to borrow and rephrase the W.J. Cash template). He’s the original NASCAR dad but one with more authenticity than camo can provide. And yet he becomes for our unlucky wilderness travelers a guide into hell. He preaches a gospel of deliverance in the wilderness and finds instead an Appalachia facing encroaching modernity with one last rebel yell. Deliverance ironically becomes a new version of the Puritan captivity narrative, “the errand into the wilderness” gone horribly wrong. 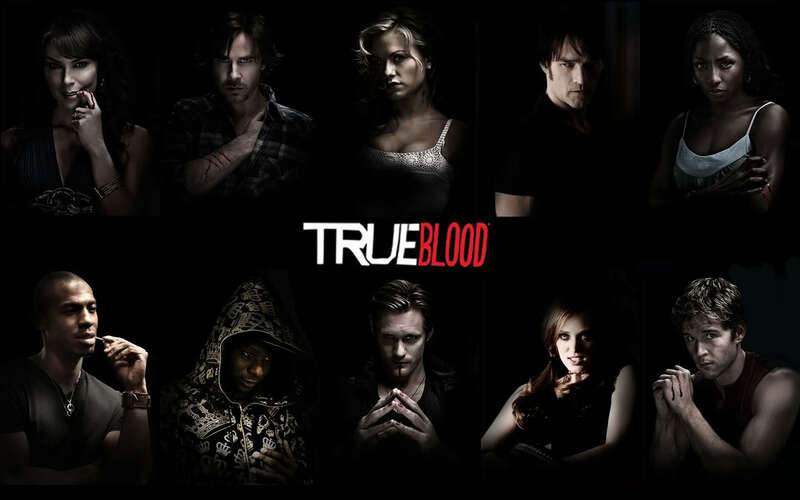 HBO’s True Blood has borrowed certain aspects of this tradition of backwoods grotesquerie. For many of us, a favorite part of the show is the opening montage of deep-fried southern religion in black and white mingled with images of southern sexuality that include stereotyped representations of the proletarian south. It’s a set of images that writers as diverse as Faulkner, Erskine Caldwell, Harry Crews and Ron Rash would recognize and could have narrated. It’s a south that wants to do bad things with you—and to you. I praise Alan Ball and True Blood pretty highly in Monsters in America. Despite what some see as its egregious use of camp and schlock, I see the show as an important moment in the American monster mythos. Locating the vampire mythos in the heart of the South Americanizes the vampire mythology, indeed bundles it up with the rich and textured regional mythologies about identity and gender. Its also important to remember that the AMC series The Walking Dead features the zombie apocalypse played out on a ruined southern landscape. Anything especially southern about those zombies? Not really. But Rick Grimes is every inch the post-civil rights image of the southern sheriff, a combination of toughness and western-film influenced masculinity. It’s also a show that has established itself as a southern apocalyptic landscape by introducing race and racism as a continuing facet of post-zombie southern experience. In what we have seen of the second season, the religious aesthetic of the South has even made an appearance, an idea I’d love to see the show explore more thoroughly (and with a bit more research…Southern Baptist churches usually don’t have a gigantic crucifix like you might find in a Catholic parish). These pop culture representations of southern horror raise lots of questions about southern identity, southern representation and southern terror. I hope that southern scholars will investigate the haunted and the monstrous south more thoroughly in their work on popular culture and folk belief. 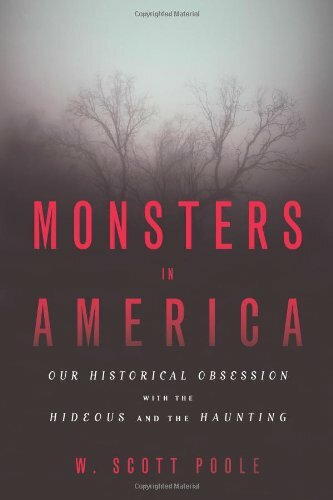 W. Scott Poole is the author of Monsters in America: Our Historical Obsession with the Hideous and the Haunting (Baylor University Press, 2011). Follow Scott as he haunts America on Twitter @monstersamerica.